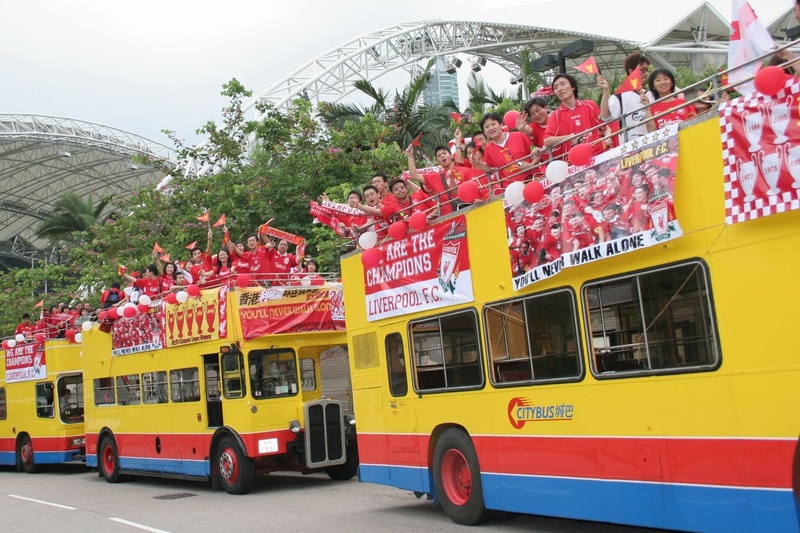 Official Liverpool FC Supporters Club, HKSAR Branch (formerly The Reds Supporters Club) is a non-profit making organization established in July 1999. 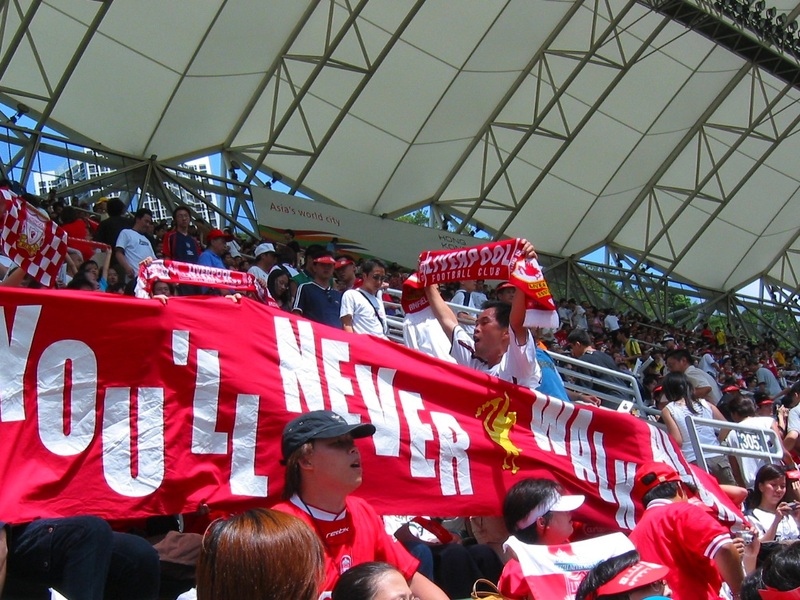 Registered under Government Ordinance, the Club was officially recognized by Liverpool Football Club as an official supporters club in Hong Kong in 2003. 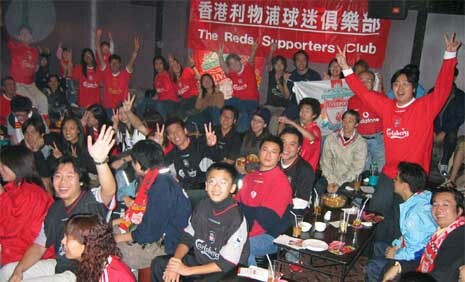 Hereafter, the Club was renamed as "Official Liverpool FC Supporters Club HKSAR Branch". Official Liverpool FC Supporters Club, HKSAR Branch aims at gathering Liverpool FC fans in Hong Kong, giving them chances to make new friends, discuss and share their passion on their favourite football team - Liverpool Football Club. In past few years, we organized over a hundred activities like watching LIVE Liverpool games, hiking, participating in live broadcasted TV programmes (Euro 2000, FA Cup Semi-final 2001, Manchester United vs Liverpool 2009), being interviewed by local sports magazines and holding fans gatherings. 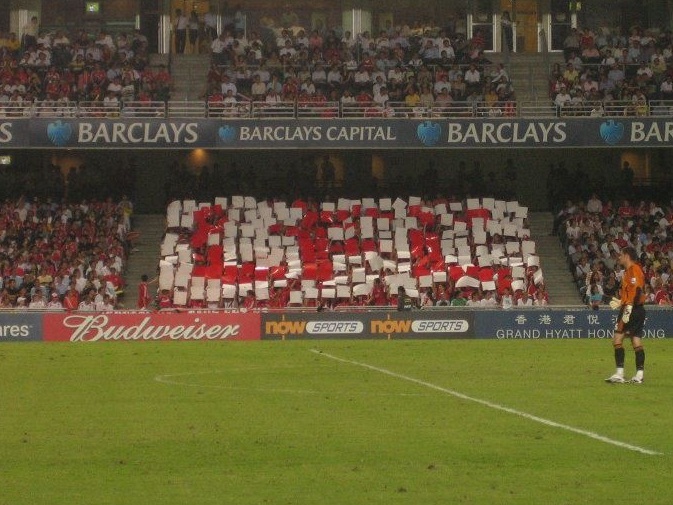 During LFC's visit to Hong Kong in 2003 and 2007, over 200 members obtained tickets through the Club and our members shared memorable moments when we attended LFC training session. Our ex-Chairman Amy was also invited to a meeting with Liverpool FC Chief Executive Mr. Rick Parry, during which we shared our views in supporting Liverpool with him in 2003. In 2011, hundreds of our members joined the Club and watched the pre-season match, Guangdong Sunray Cave vs Liverpool, at the Tianhe Stadium in Guangzhou. We enjoyed the game and it was a great day for all of us. 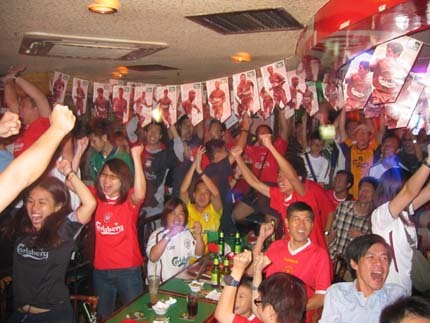 Being the largest LFC Supporters Club in Hong Kong, the Club is affiliated to Liverpool Football Club in the UK. Currently, the Club has over 500 members. Members can join club activities at a discount and enjoy privileged discount offer at designated shops. As a bridge between LFC in the UK and local LFC fans, we cooperate with LFC in order to bring more benefits to our members, including official merchandises ordering service, LFC Premiere League home game ticket application service, to name but a few. Our website serves as a communication platform between the Committee and members, and among members, while regular newsletters promote the sense of belonging of our members to LFC. We have also established a Facebook Page and Groups, Twitter andSina Weibo account to interact with Liverpool supporters in HK.